An awe-inspiring charm is exuded by this elegantly crafted diamond circle ring that radiates a flawless blend of style and sophistication. The gleam of the 14k white gold metal is uplifted by the brilliance of pave set lab grown diamonds that cluster together inside the circle. Its sleek shank ensures comfort and makes it perfect to be stacked along with other rings. 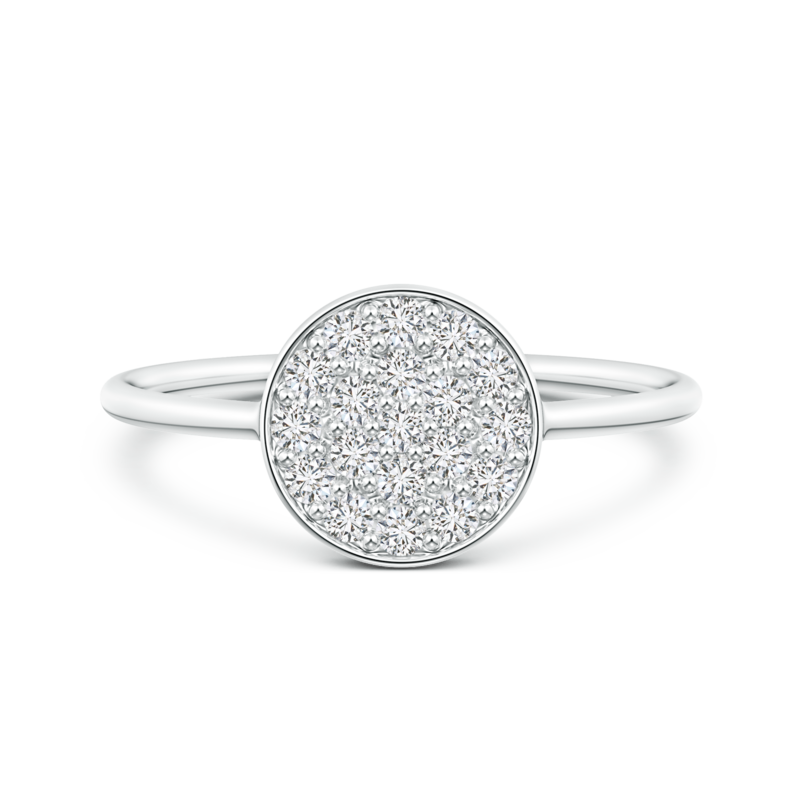 An enthralling beauty, this diamond cluster disc ring shines gloriously like a full moon in the night sky.